Heat oil in a non-stick pan and splutter mustard seeds. Add onions, green chillies and curry leaves. Fry till the onions turn light brown in color. Add ginger-garlic paste and fry on a low flame till the raw smell goes. Add the spice powders and sprinkle a little water. Fry till the aroma comes out. Add tomato paste, water and salt to taste. Mix well and when it starts to boil, add the hard boiled eggs. 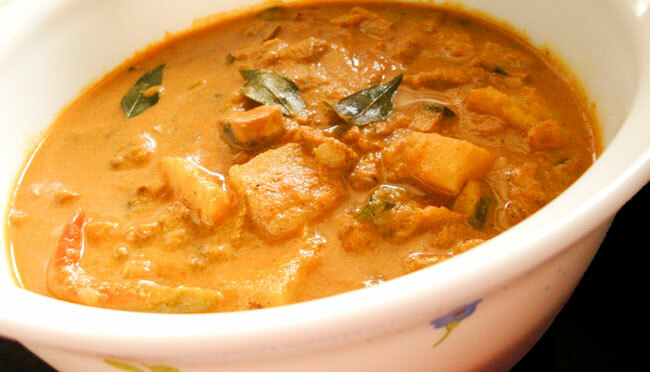 Simmer for 5 minutes and add the thick coconut milk. Switch off the flame before it starts to boil. 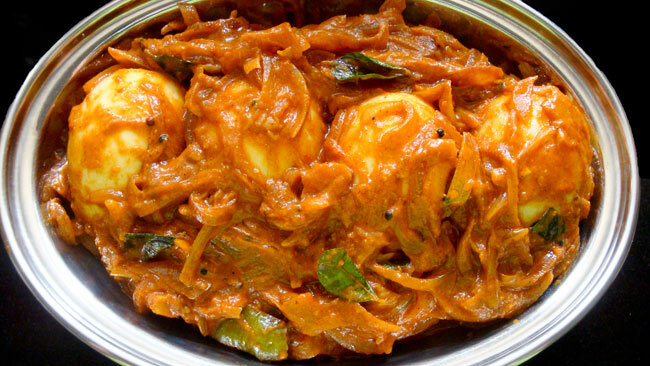 Serve yummy ‘Egg Curry’ with appam, idiyappam, chapathi, porotta, rice or bead. Enjoy! i love all the recipes. Dear Lissie, could you please tell me how to paste tomatoes? 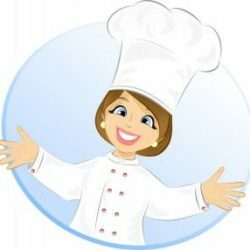 Thank you for trying some of my recipes. Happy to hear that you enjoyed it as well! In the ‘Egg Curry’ recipe, I have used store-brought tomato paste. Instead of that you can used chopped tomatoes or tomato puree, and saute till the oil separates. Could you detail the ingredients for “egg masala” please? First time I’ve come across this ingredient. I used store-bought ‘egg masala’ in this recipe. 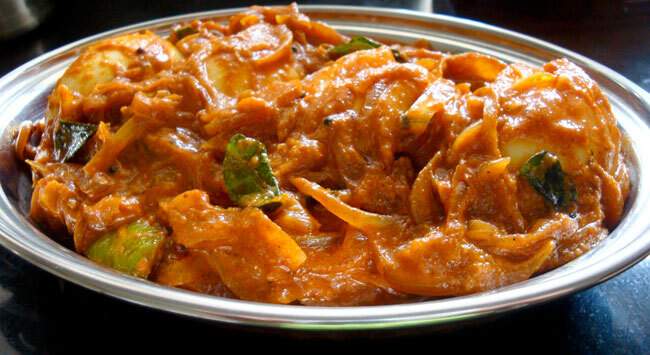 If it is not available,you can use ‘chicken masala’, ‘mutton masala’, ‘meat masala’ or ‘curry powder’.